Blessings, Miracles, &Thoughts in Between: Praising Him! We received some wonderful news today! 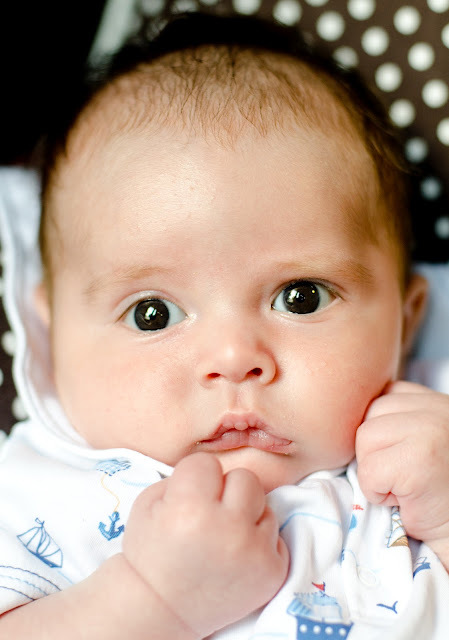 When Will was 8 days old, he went in for a CBC to see how his platelets were holding up. A normal platelet count is above 150. Will's was 50 at birth and unfortunately dropped to 30 by 8 days old. For reference, 20 is the point in which they start transfusions. Obviously we were crushed by this news. Alex and I were terrified that Will would become transfusion dependent and that would mean he would go to transplant much sooner that we anticipated. As of now our goal is to get him to 11-12 months before he starts chemo. While it isn't necessarily horrible for a baby younger than that age to receive high dose chemo, it is definitely not ideal. The risks are greater and the chance of life long complications from the drugs is increased. Will's doctors were unsure as to how his platelets would react. There were a handful of CAMT cases where platelets dropped after birth and then came up slightly before dropping again, and staying down. There are also cases where the levels never come back up. Due to this unknown, we started the process of finding a donor. Thankfully, while the donor search was going on, Will's platelets did make an increase and the possibility of making it to March or April 2013 is back on the table. The first step of finding a potential donor is to conduct HLA typing on Will. We had hopes of he and Kate matching and being able to use Kate's donor again. However, that wasn't the case - Kate is not a match which means her donor is also not a match. We took our search to the National and International Registries and had very "blah" results. Not very many possible donors, and of the few possibilities we had, most were older. There is nothing wrong with an older donor (older meaning 45+) but younger donors have a better track record. Thankfully, the youngest potential match on Will's list (a 30 year old male) was very prompt in scheduling additional blood work. We also have two other potential matches with samples still being processed in the lab. Alex and I have been very nervous about only "activating" three potential donors. It's very hard to think your child's chance at life rests on the possibility that one of only three people in the world may be a match. We were also nervous because with Kate, we initially activated eight individuals and of those eight, three were perfect 10 out of 10 HLA matches. The doctors could be selective and look at details like CMV/ EBV status and such. Having options made things less stressful. I got a call today that made me cry happy tears! The 30 year old male is a PERFECT 10 out of 10 match for Will!!! He hasn't officially been named Will's donor - we have several steps and approvals needed before he will be asked to officially donate. Then, if he is the individual chosen (remember we still have two other possibilities in the lab but we don't know if they are matches yet) he will have to pass his physical before being cleared to donate. So, we still have several hoops to jump through. But, we know that there is a perfect match out there for our sweet Will. No matter what happens with the other two possibilities, we have one. One is all it takes! Praise God for yet again wrapping his arms around our family and letting us know that He is in control and He is working His plan in His timing. More proof that my worries are in vain because my Lord has it all figured out. Please pray for this 30 year old man. Pray that he has a sense of peace about donating. That he is ok with being on "stand-by" as we try our hardest to get Will older and stronger before he goes to transplant. That his work/ life/ family are all accommodating to the needs and demands of donating. What a blessing he may be to our son! God is so good. Prayers! Praise the Lord! So happy to hear this Lindsey! This is such wonderful news! I've been following your blog for quite some time and remain amazed by your strength. Even though I don't "know" you, you and your family are in my thoughts! I have no doubt that Will will follow in Kate's footsteps and be a thriving toddler in no time! Wonderful news! I've been following your blog for quite some time and continues to be amazed by your strength. Despite not actually "knowing" you, you and your family are in my thoughts! I have no doubt Will will follow in Kate's footsteps and be a thriving toddler!! Such great news! I'm glad that Will gets to wait a bit longer before needing chemo too. This is amazing and made me cry very happy tears! God is so good. That's wonderful! God is good! Sending prayers your way!! I hope that everything goes as planned!! Oh Lindsey, GOD IS SO GOOD and faithful. Rejoicing with your family over the news of a perfect match. I will be praying for the potential donor's heart and body as he is making the decision. This is SO amazing. Wow. Wow. This is the greatest news I've heard all day. I'm SO happy for you and your family. Sending continued strength and love. What a great day...praying God continues to show you a smooth path on this journey for sweet Will. Praying, Lindsey! That is fantastic news! 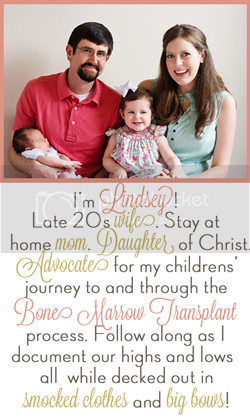 What amazing news Lindsey!!! Will continue to cover your family in prayers. Especially this sweet little man! !